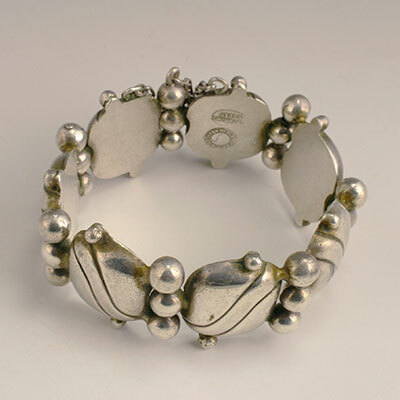 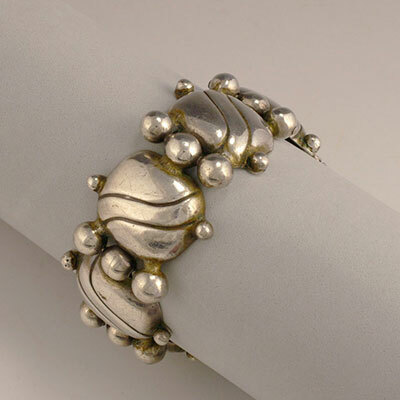 This classic bracelet is from Spratling's first design phase and exhibits the typical abstraction of ancient Mexican motifs. 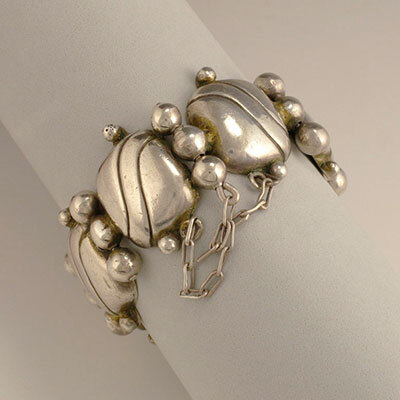 Each link is hollow and hand chased. 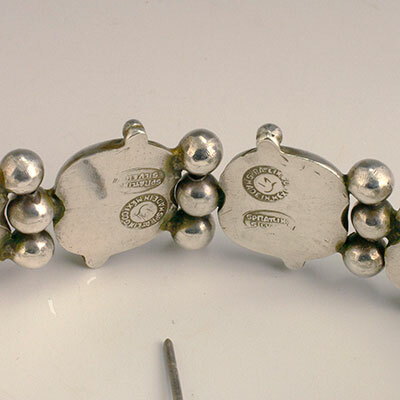 You can trace many of the Taxco school's basic design elements back to this piece - the ball hinges, the additional balls added along the edges, the use of the undulating design motif, the hidden closure.